Employers all over the world trust CareerBuilder to help them find, hire and manage great talent. We are an end-to-end human capital solutions company made up of people who are passionately focused on our customers’ success. From recruitment solutions to employment screening to human capital management, our comprehensive range of offerings meets every stage of the employee lifecycle. With more than 20 years of workforce expertise and industry-leading technology, we are uniquely positioned to flexibly and cost-effectively respond to our customer’s needs and help them get the most out of their investment. Are you accustomed to using a plethora of resources to recruit the right candidates? Our research shows that the average employer spends around five hours logging in and out of systems to source candidates to fill one job. Think about what that means if you have 10 or more open requisitions. 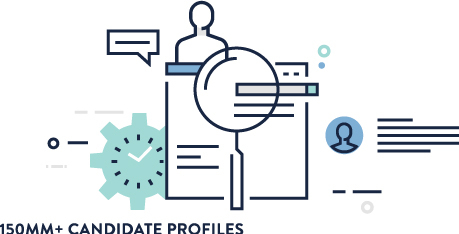 That’s why we’re excited to announce the next level in candidate sourcing: CareerBuilder Talent Discovery, a platform that combines the best of CareerBuilder’s recruiting solutions in ONE place where you can do everything — yes, everything — you need to do. That includes planning and aligning expectations with hiring managers; matching the right candidates to the right jobs; searching your candidate data in ONE place, and engaging candidates who would be most likely to respond. A good recruitment strategy begins with a great career site. CareerBuilder Talent Network is a mobile-centric, optimized career site that allows job seekers to stay connected with your company's job opportunities until they are ready to apply. 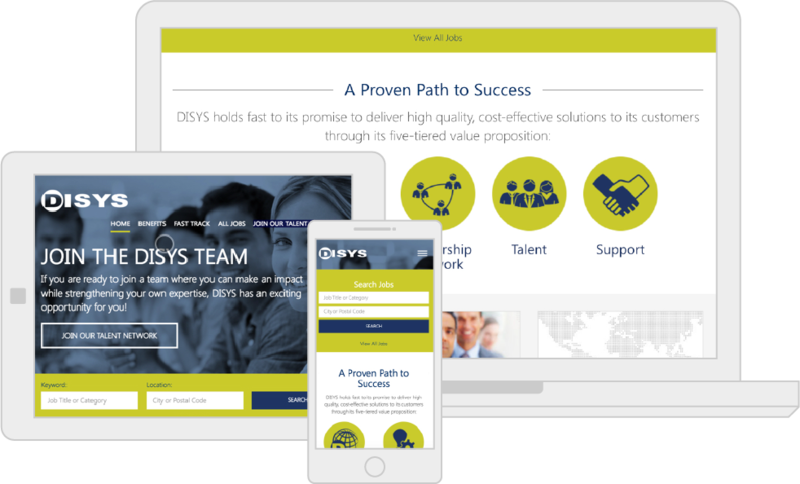 Designed to decrease candidate drop-off and increase applications, our career sites can bring your candidate interaction to the next level. Nearly 70% of job seekers provide a resume when joining a talent network, meaning that he or she can be automatically enrolled to receive new, relevant positions as they become available. Talent Network's automated emails and job matching algorithm provides up to 5x the clicks of the industry average. Seamlessly push candidates into Bullhorn, direct from CareerBuilder, using Applink. This standard feature is part of our basic integration and reduced candidate drop off drastically! CareerBuilder Employment Screening is the trusted leader in employment screening. With 68% of candidates continuing to look for jobs until cleared for hire, we help to simplify employment screening by enabling clients to gain the visibility, quality, and speed to keep candidates engaged. We are proud to be the trusted partner of thousands of clients, top ranked in HRO Today's Baker's Dozen list, included on the Workforce Hot List, NAPBS accredited, and ISO 9001:2015 certified. As part of CareerBuilder, we provide the unique ability to help clients match the right talent, with the right position, at the right time. Click here to learn more.